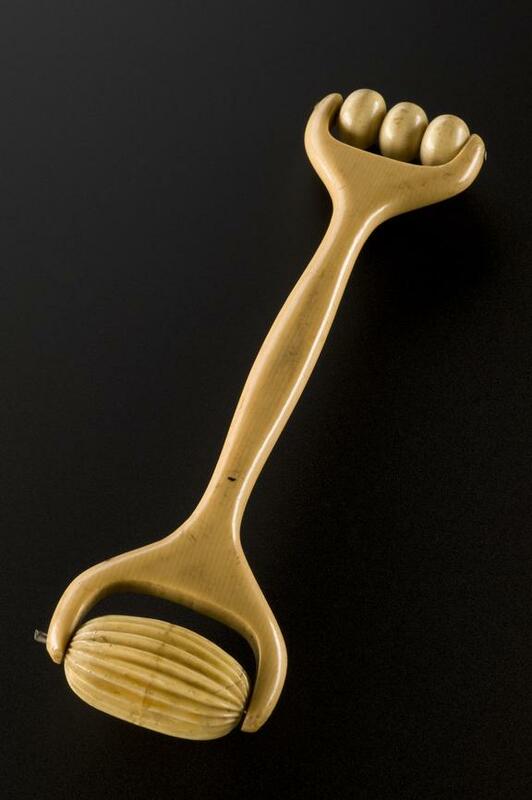 Made from ivory, this type of massager is known as a roulette. The two different ends, one ridged and one made up of three independently rotating balls, give different sensations to the body. 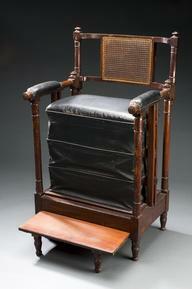 The massager would have been purchased from a chemist and used at home, possibly with oils. Massage is an ancient activity practised by medical professionals and non-professionals alike across a range of different medical traditions. As well as being a means of healing and relieving pain, it also helps people to feel relaxed.